Desert Hills is a community located in Maricopa County, Arizona. It has a population of 2,245 residents. The median home value is $315,000. The home value rate has risen by 1.8% in the last year and it’s predicted to rise by another 2.9% in the coming year. 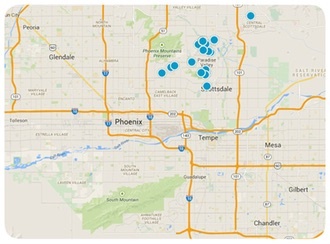 The median price per square foot is $136 and this is higher than Phoenix Metro’s median of $126. If you are interested in purchasing a home in Desert Hills, contact us today for more information.